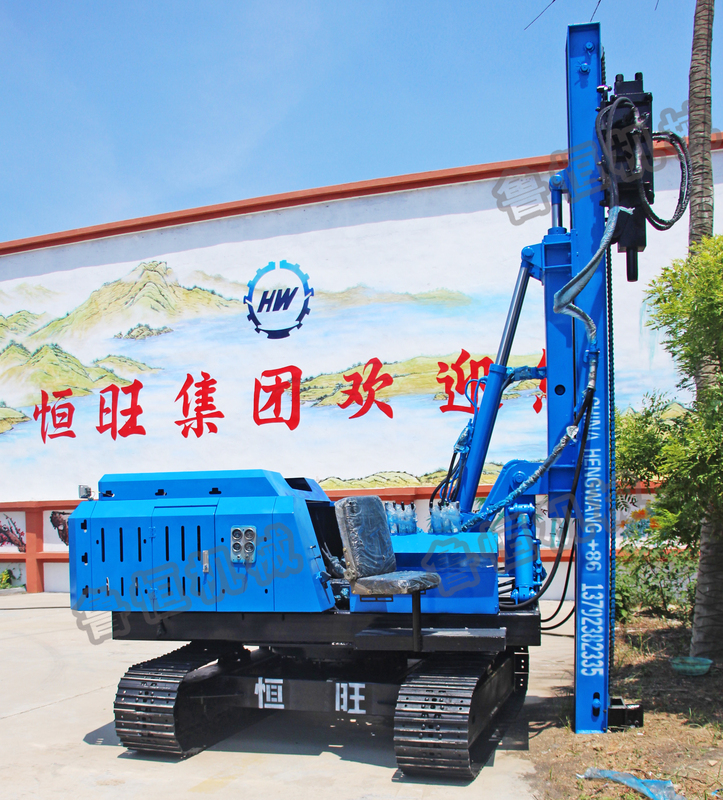 HW Photovoltaic Pile Driver using a new hydraulic technology, large rotary torque, low consumption,move the hole and shift the position is convenient. 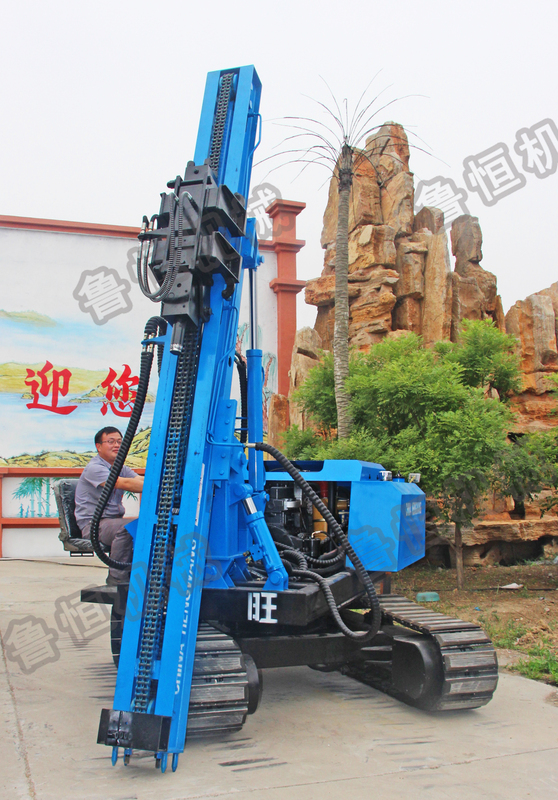 The solar Pile Driver structure is compact, it has a telescopic compensation functionthe slide carriage supported on the ground when drilling, when promoting the slide carriage, the drilling stability is pretty good.The Hydraulic Photovoltaic Pile Driver is mainly used for piling well ,anchoring,photovoltaic solar rotating pile and water conservancy, open-air mining,power plants, road construction and other stonework blast hole drilling and etc. 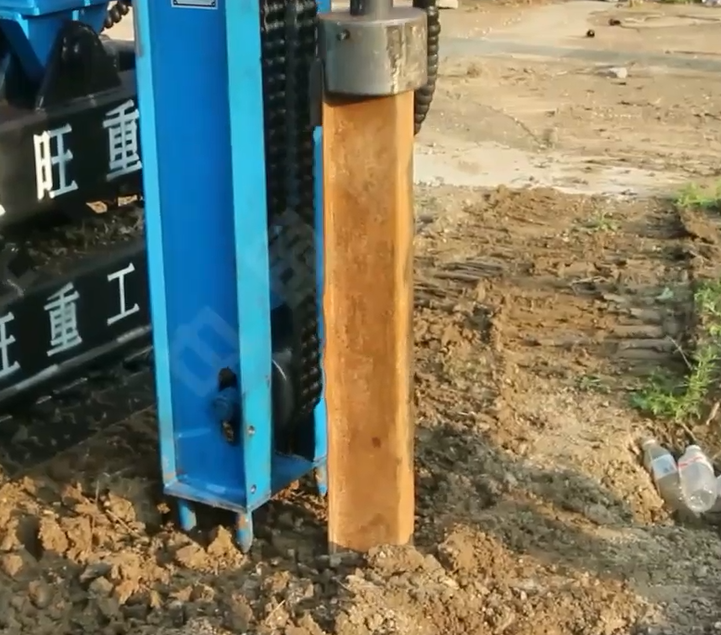 The Photovoltaic Pile Driver With Crawler is a kind of multifunctional highway guardrail pile Construction Machinery, with different configuration it can accomplish many functions, such as piling, pile extracting, and drilling on the stable layer of road before piling. Crawler walking,high walking and climbing ability .The frame can be moved back and forth,bit can be adjusted,high piling position accuracy. Looking for ideal Pile Driver Solar Manufacturer & supplier ? We have a wide selection at great prices to help you get creative. All the Press Pile Driver are quality guaranteed. We are China Origin Factory of Photovoltaic Pile Driver. If you have any question, please feel free to contact us.